OBDSTAR X300 PRO3 Key Master VS SuperOBD SKP900, Which is Better ? 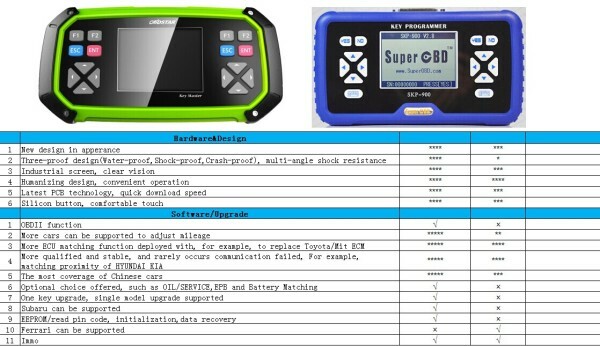 Here is the Features & Functions Comparison List on Key Master and SKP900 . Remarks: * is Star Level, ***** Five star is the top level.